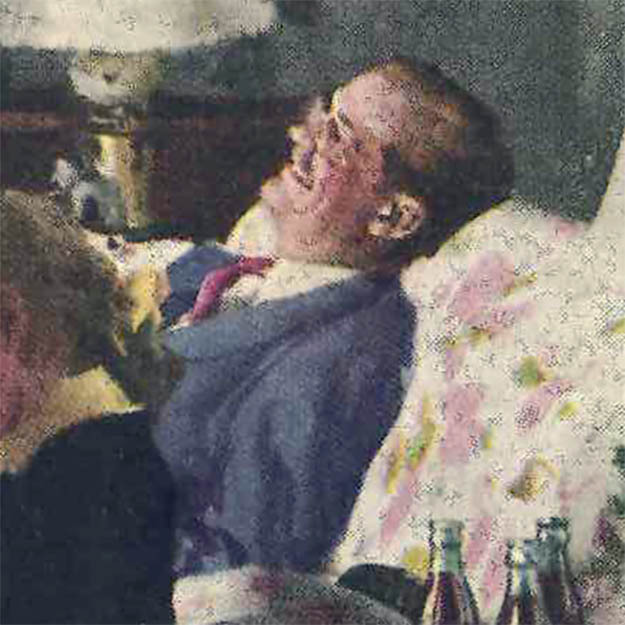 I wonder how long it took them to realize that the father in this 1944 Coca-Cola Christmas ad was dead? The spirit of good will rules the Christmas season. It’s a time to get together with friends and family… a time when all we mean by home in its graciousness and friendliness is at its peak. In such an atmosphere Coca-Cola belongs, ice-cold and sparkling with life. There’s a whole story of hospitality in the three words Have a “Coke”, — three words that express a friendly spirit the whole year ‘round. Yes, Coca-Cola and the pause that refreshes are everyday symbols of a way of living that takes friendliness for granted. Our fighting men meet up with Coca-Cola many places overseas, where it’s bottled on the spot. Coca-Cola has been a globe-trotter “since way back when”. It’s natural for popular names to acquire friendly abbreviations. That’s why you hear Coca-Cola called “Coke”. 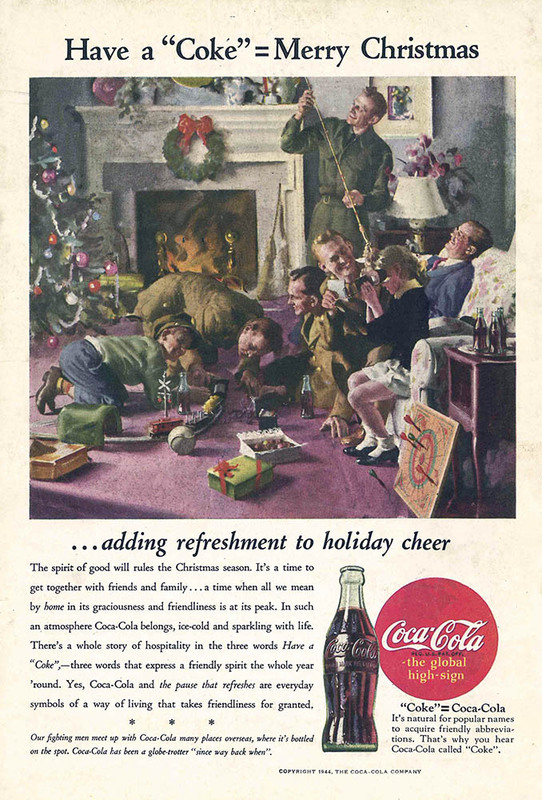 This entry was posted in ads of yore and tagged ads, advertising, christmas, christmas ads, coca-cola, coke, vintage ads, vintage advertising, xmas, xmas ads on December 22, 2017 by Clayton Hove.